Having danced the night away she can pretend no more. 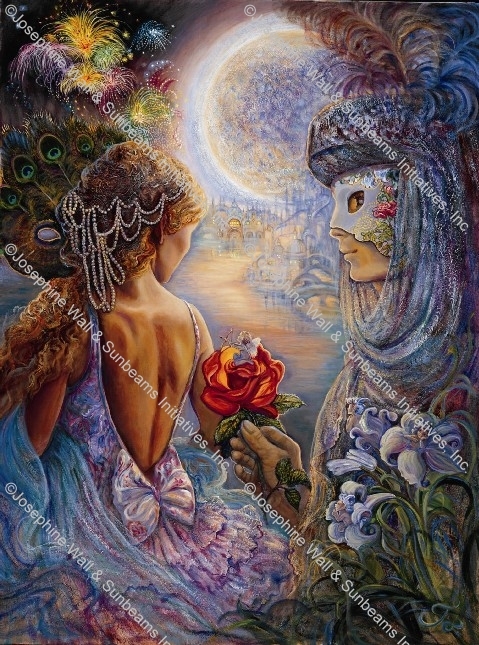 Struck by Cupids arrow she coyly comes out from behind her mask of peacock feathers to reveal herself for the first time to her masked partner. Having only been able to look into each others eyes ( the windows of the soul ) she knows their feelings for each other are true, and uncomplicated by physical appearance. How can she resist when surrounded by the hypnotic perfume of love.